When on the ketogenic diet, one of the most important things you’ll have to pay attention to is your macronutrient breakdown. This means you’ll be getting a certain portion of your calories form carbohydrates (a very small portion) at 5%, a larger portion of calories from protein (35%), and the largest number of calories from fats (65%). There are many online sites that can help you figure out how many calories you need on a daily basis, based on your height, weight, measurements, age, gender and level of activity. From there, you can also use online calculators to help you figure out the proper breakdown, in grams, for each macronutrient percentage you’ll be eating. You’ll multiply your total daily calories by each percentage to get the grams of each macronutrient that you’ll need. For example, if you need 1200 calories per day, and your carbohydrates are 5% of that total, then multiply 1200 by 5% to get the number of grams of carbohydrates you’ll be allowed to eat each day. In this case, 5% of 1200 calories is 60 calories. You then divide the calories by the grams per unit of carb, protein or fat. Carbohydrates and proteins both have 4 calories per gram and fats have 9 calories per gram. Again, in this example, 60 calories divided by 4 grams per carb leaves you with a total of 15 grams of carbs per day. There are several great phone apps that will do the calculations for you. My personal favorite is Carb Counter. This also makes restaurant eating a breeze. One last note on food and nutrient tracking applications—you can typically also use these to plan your meals ahead of time. Just plug in the proposed foods for the day to see where your calorie and macronutrient values will lie, and make adjustments from there. Then, you build your meals around those numbers. Decide how many meals you’ll be eating per day. For example, if your calorie level is quite low, you may only have 3, maybe 4, small meals a day. If you’re allotted a greater number of calories, then many people will break their daily meals down into 5-6 small meals. This lets you eat manageable amounts of food in one sitting and get plenty of protein and fats at the same time. Several smaller meals will also help keep the hunger at bay, and keep you feeling satisfied until the next meal. There are many great websites with online calculators to help you determine your personal macronutrient breakdowns. You should aim for about 2 pounds a week of healthy weight loss, although you will probably lose additional water weight in the first week. If you don’t feel like figuring out the percentages of carbohydrates, proteins and fats, then you can just try counting carbs. 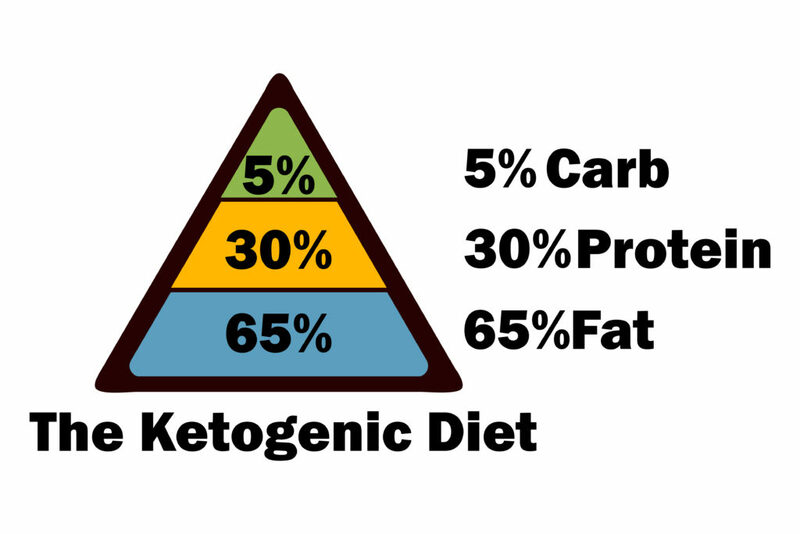 Some people do a ketogenic diet simply by counting carbs and don’t worry about the rest. As long as you stay between 15 and 50 grams of total net carbs per day, you are within the guidelines. Once you’ve determined the number of carbs you’ll be consuming each day, the next calculation is your protein requirements. You should aim for somewhere between 0.70 and 1.2 grams of protein per pound of lean body mass. What does this mean? It’s not protein per pound that you weigh, it’s grams of protein per pound of lean body mass; meaning muscle, bone, tissue and organs (not body fat and water). You can use a Body Fat Estimator Calculator to get a ballpark figure for how much body fat you’re carrying. Subtract that number from your scale weight to determine your lean body mass in pounds. Something to note: this is a learning process. It’s not something you will necessarily be perfect at doing right out of the gate. It may take some time to learn about the various food values and find out which low carb foods and recipes are best for you. However, there are ways to speed up the learning curve for you: by using the Reset Factor online applications designed to help you plan and track your food intake, and even your workouts, measurements, goals and more! It’s an excellent way to get awareness about what’s really in the foods you’re eating. Often, you’ll be surprised how many calories or carbs there are in certain foods that you never would have expected.